Even in the digital age—or maybe in spite of it—books continue to captivate us. Photos may look better on screens every year as technology evolves, but they have yet to duplicate the experience of paging through and absorbing the message on paper. A book has weight, texture, and even a smell. Engaging the senses makes the experience difficult to swipe or click away. Creating and publishing a book of your photography can be a daunting task. Whether you’re showcasing an important personal project or your best commercial shots for future clients, there are many options. Sometimes it’s tricky to know where to start. 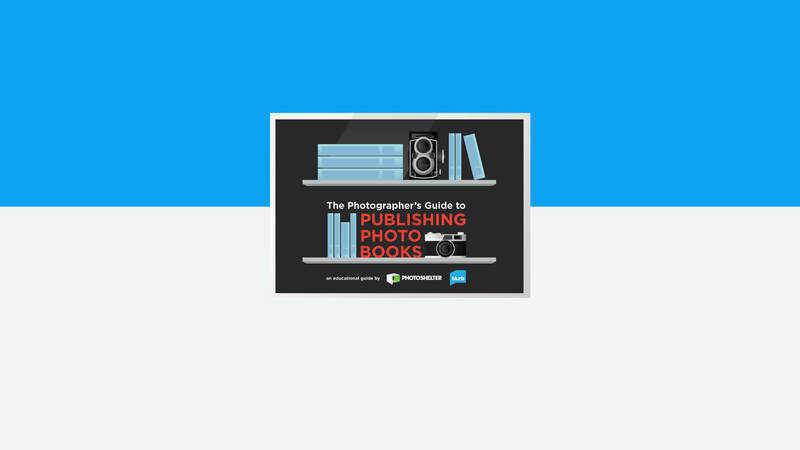 Blurb has teamed up with our friends at PhotoShelter to create a free guide, The Photographer’s Guide to Photo Books, to help professional photographers navigate the decisions for publishing a quality photography book. Book projects require a clear vision, thorough research, and a lot of work. This PDF guide provides an overview of the process, including understanding the reasons to publish and 10 steps for book success. Also included are exclusive interviews with photographers who have completed both simple and complex book projects. They share their stories and the lessons they learned along the way.